Libran Ingress - Kings & Queens are depressed!! Libran Ingress - Kings and Queens are depressed!~! Over the pursuing quarter, When the Seesaw quickens! at odds with the symmetry!! Day & Night, Solar & Lunar, have reached equilibrium. Rising ahead of the Solar light three contra to 'Sect' Lunar Sect planets. Venus, Mars & Mercury all have something to say before the great light appears. Varied in expression and dignity, who's right and who's wrong, the tussle is far from graciousness. 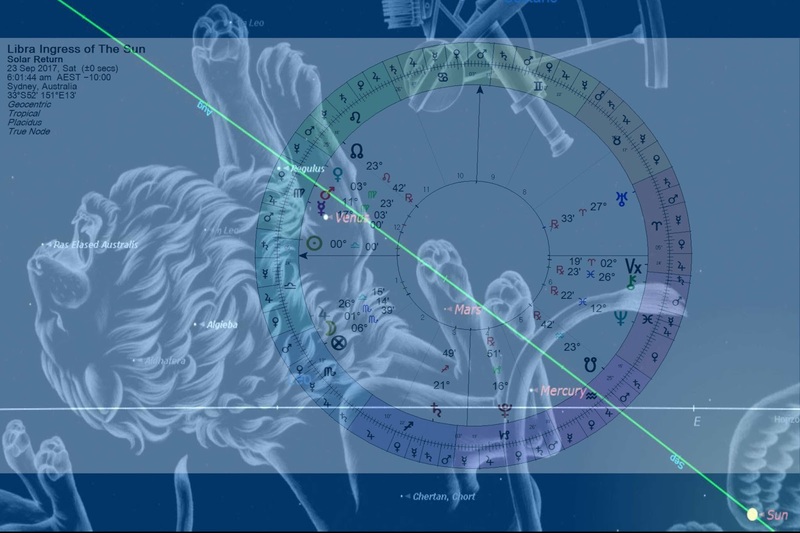 With the added diagonally opposed 'Giants' Jupiter/Uranus about to meet expect to see 'Stability challenged by Instability', both Fire & Air - Sky lords are ensuring the question of who's right & who's wrong will intensify over the coming days. Across the Globe - Leaders-(Sun) are Seen to be in "Fall', as both the Sun/Moon and depositor are depressed in dignity - legitimacy - legally recognized conditions in all matters will increasingly come to ahead.